First days diarrhea and stomach ache, then for no apparent reason severely aching knee joints. At first, the symptoms indicate two different complaints that are not related. However, certain intestinal bacteria such as Yersinia can also cause joint inflammation. Yersinia are the most common triggers for gastrointestinal infections in Europe and may cause more discomfort. The pathogen belongs to the family of intestinal bacteria. “There are more than ten species of Yersinia, some of which can cause disease in humans,” explains Karsten Nöckler from the Federal Institute for Risk Assessment in Berlin. Most dangerous is Yersinia pestis – the causative agent of the plague, which is mainly transmitted by rat fleas and often leads to death if left uninfected. “Today, however, it plays a minor role worldwide and is considered eradicated in Europe.” More important is Yersinia enterocolitica. This pathogen causes intestinal yersiniosis, one of the most common bacterial gastrointestinal infections in Europe. He, like his pestering relative, is transmitted from animal to human (zoonosis). As a rule, pigs, but also other domestic and farm animals, act as hosts in Yersinia. However, infection rarely occurs through direct contact. “Most of those affected are infected with contaminated food, especially raw or undercooked pork,” says Professor Jürgen Heesemann of the Department of Bacteriology at the Max von Pettenkofer Institute of the University of Munich. Hackepeter and bloody steak are therefore to be treated with caution in any case. The infection may also be due to contaminated water, dairy products, vegetables and salads. If someone has taken the pathogen, the yersiniosis usually breaks out after three to seven days. The patients are infectious as long as the symptoms persist and the pathogens are eliminated in the stool, usually for two to weeks. The infection causes inflammation of the intestinal wall and mucosa of the small and large intestine. Typical signs of infection with Yersinia are abdominal pain and watery or slimy stools. In addition, inflammatory swelling of the lymph nodes in the small intestine may develop during the course of the disease. “The symptoms are severe diarrhea, nausea, vomiting, abdominal cramps and fever,” explains Heesemann. So that the body does not dry out, an electrolyte and fluid replacement is important. Fluid replacement : Tea and water are best to balance the loss of fluid. In tea herbal tea varieties are well suited. Green and black tea also contains tannins that have a calming effect on the gastrointestinal tract. On the other hand, you should avoid using soft drinks and juices containing koles. The detection of an intestinal infection is possible in the acute initial stage via a stool sample (cell cultures), later by antibodies in the blood. Normally, the symptoms are limited to the stomach and intestines and disappear after a few days. Often yersiniosis is initially not recognized at first diagnosis and confused with appendicitis due to its similar clinical picture. In a few cases, the symptoms become chronic, or it comes to secondary diseases on other body organs. “This is usually the case only in patients with an increased risk of infection such as young children, seniors or persons with a weakened immune system,” says Nöckler. In case of acute yersiniosis, treatment with antibiotics is usually considered to combat the bacterial disease. The complications during the course of the disease include meningeal and myocardial inflammation as well as blood poisoning. In addition, intestinal germs can trigger autoimmune diseases. “Yersiniosis, for example, can lead to the development of a skin lesion called erythema nodosum,” explains Martin Aepfelbacher, director of the Institute of Medical Microbiology, Virology and Hygiene at the University Hospital Hamburg-Eppendorf. It is an inflammation of the subcutaneous fat tissue, which is accompanied by painful red nodules. As a consequence of Yersiniosis, a reactive arthritis is repeatedly observed, ie a bacterial inflammation of the joints . “It affects mainly the knee and ankle joints and manifests itself by redness, warming, swelling, movement impairment and pain, ” explains Heesemann. 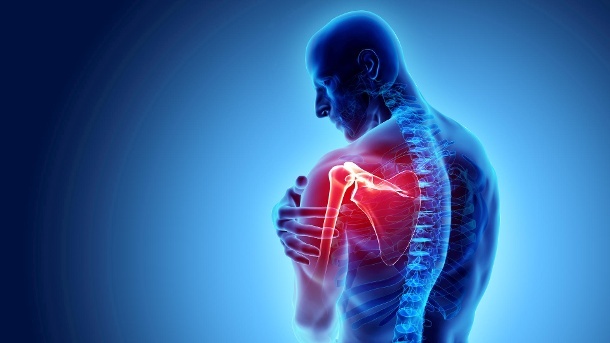 As therapy against the joint complaints and the inflammation antirheumatics are used as a rule. An arthritis in folkge of a yersiniosis sounds in most cases after four months at the latest and then the joint problems disappear.